As we know Windows 8 RTM is released to public. 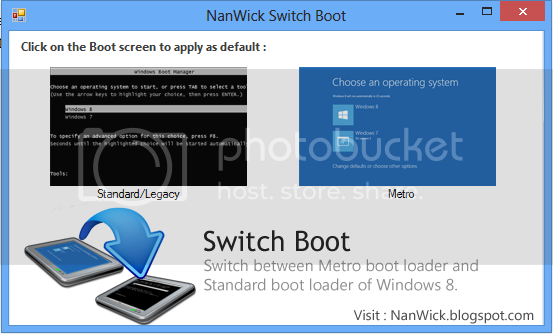 One of the new feature included in the Windows 8 is Metro Boot Menu. Which is completely different from old one's. And it also allows the mouse pointer to select an operating system. 2. 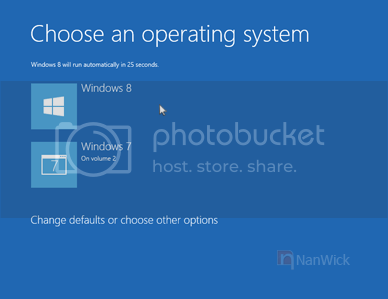 For users with dual operating systems, If you are selecting an O.S other than Windows 8 it'll boot only after restart. Comparing to new Boot Menu, the old one is fast and simple. It might be better getting old boot menu for the users with dual O.S. 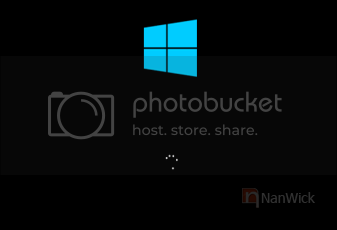 Windows 8 Switch Boot is a solution for this problem. 2. Find cmd.exe. Once you find it Right click on cmd.exe and select Run as administrator. 3. Select any one of the following two commands and type it in the Command line window. Posted by Unknown at 21:42 23 comments so far. What are your thoughts?